DaVinci Owen Glider and Storage Ottoman, Grey with Cream Piping by DaVinci at RVTE. MPN: M13687GCM. Hurry! Limited time offer. Offer valid only while supplies last. 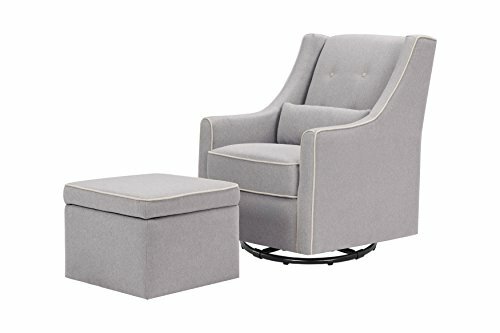 The plush wingback style Owen Glider and Ottoman features streamlined piping and button tufting for a cushioned back surface through every feeding.